SKU: 326935. Category: Browse All, Fine Watches, Rolex, Sky-Dweller 42mm. Alan Furman & Company features authentic Rolex 18K Rose Gold Model 326935. Every Rolex watch, along with Rolex 18K Rose Gold Model 326935, we sell is guaranteed to be authentic. We have been selling Rolex Watches since 1985. We discount genuine Rolex watches including Datejusts, Submariners, Daytona’s, Explorers, Yacht-Masters, and Gold Presidents in Men’s, Ladies, and Midsize models. We guarantee each watch is thoroughly inspected before being shipped to you. Our fine watch division offers great discounts on all Rolex watch models. Every Rolex is either stocked in our inventory or is readily available in a matter of days. We honor the manufacturer’s warranty on every watch that we sell. These watches will be accompanied by a warranty from Alan Furman & Co. which displays our written guarantee. 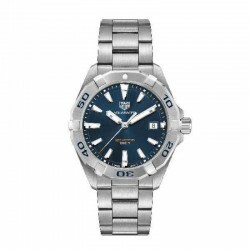 Merchandise and watches may be returned to us for warranty repair or replacement. Items purchased from us that are not special orders may be returned unused for a full refund, less shipping costs. All returns must be made within 10 days of receipt.